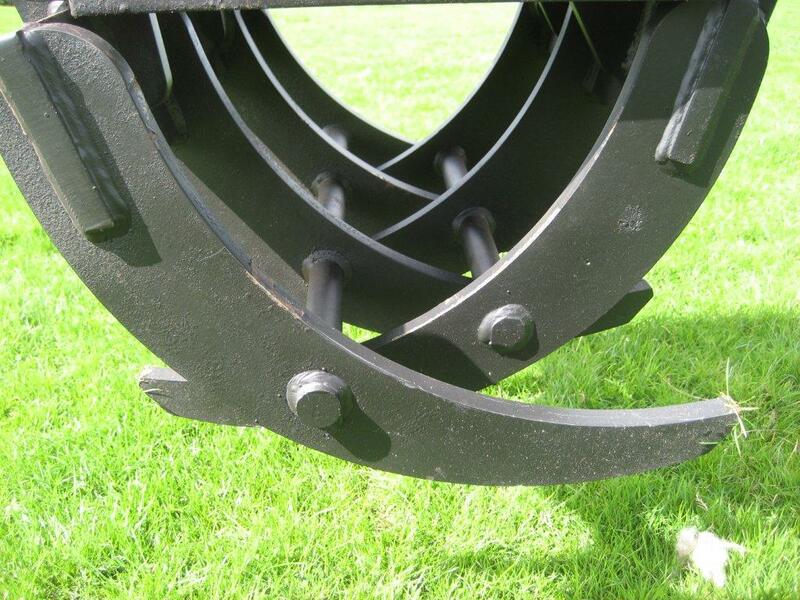 Our Hydraulic 'FG' Folding Grapple, is the sister model to our 'SG' - Sorting / Selctor Grapple. 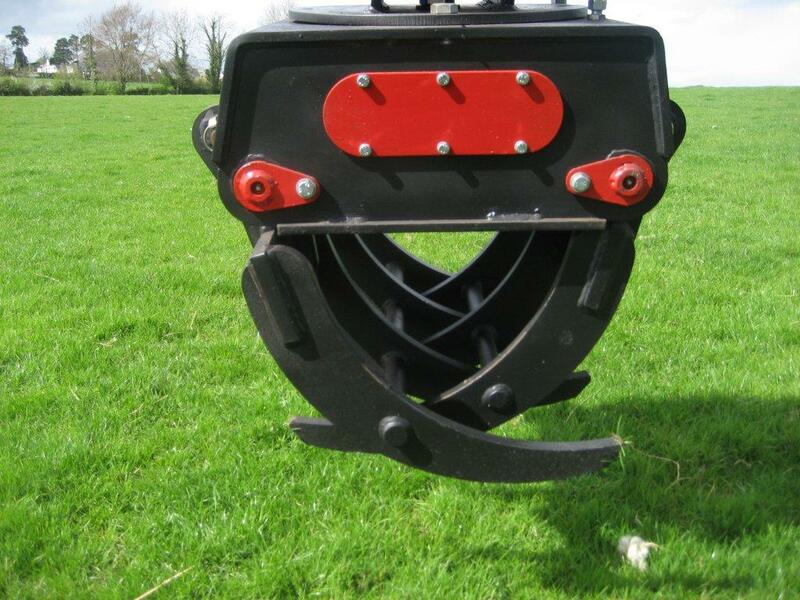 The grapple runs off the machines hammer system and is designed to be used with a Quick Hitch. Supplied with this grapple are greaser pins to extend the product life and durability. 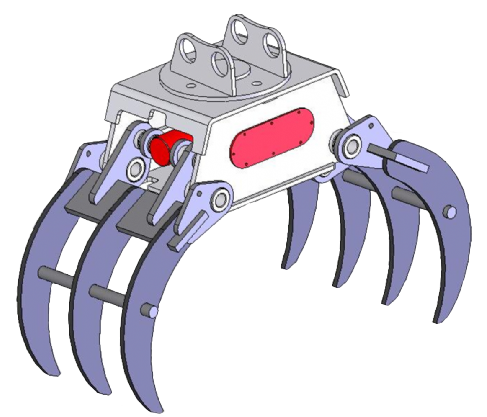 The hydraulic folding grapple arms fold into each other, as opposed to 'touching' together like in the sorting grapple. 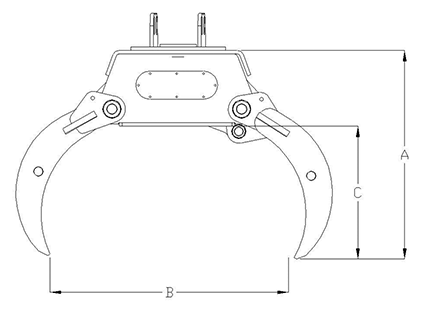 This folding design is the standard design for any excavator up to 8 Ton. 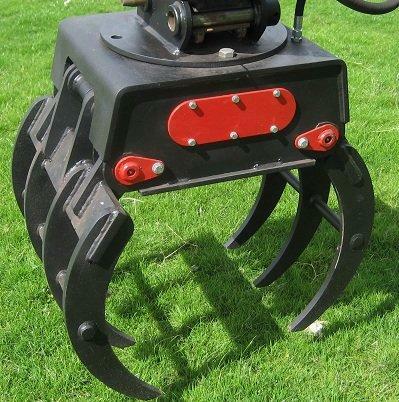 For any excavator between 10-13 Ton, there is the option of either style. 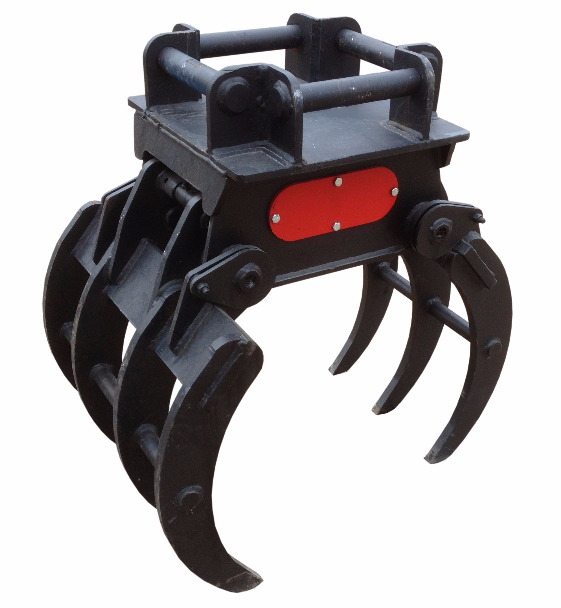 Above 13 Ton the sorting grapple is the standard design. However, we are able to weld horizontal cutting edges along the bottom on the grab to replicate the sorting grapple if required. If you have any other specific requirements, we will always be able to accommodate.